Rollators are essentially walkers with wheels (Wikipedia). They are mobility aids that typically feature padded seats, backrests, storage baskets, handbrakes, simple locking mechanisms, and many of them are even collapsible! They come in two varieties – three wheel and four wheel. The primary difference is that three wheel rollators are more agile, with a tighter turning radius, and typically lack seats and backrests. Four wheel rollators are more stable and generally include many of the features that the their three wheel brethren do not- seats, backrests, with more storage space- typically a wire basket beneath the seat or a zippered pouch. Many users we interviewed said that after upgrading to the Drive Nitro, their old clunky rollators felt like early 2000 Hyundai Elantras by comparison. This is truly the Cadillac of rollators. It easily navigates indoor and outdoor terrain, maneuvering down gravel driveways and through yards. Its 10" wheels make it a powerful mobile assistance device, all while being light enough to transport, and easy to fold. Fitting right into your trunk, if you're on the go. While the seat on the Nitro isn't like reclining in a plush sofa-chair, it's not uncomfortable and users say that they can sit on it for hours without discomfort. 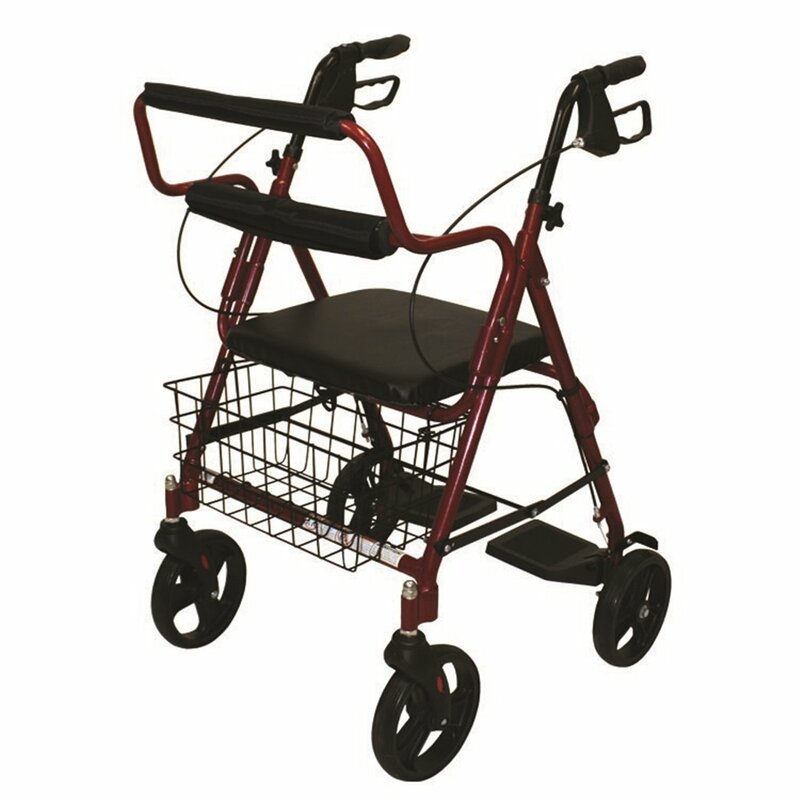 Features an adjustable handle height of 33.5"-38.25"
The Roscoe Medical transport rollator is a 25 lb. 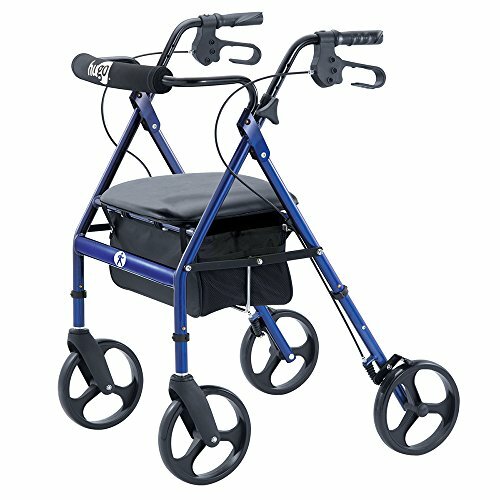 rollator with 8" locking wheels and fold-down foot rests that make it simple to transport patients. This unique four wheel walker combines the utility of a roller with the functionality of a companion transport chair, making it useful if you need to wheel somebody around for short trips. One reviewer that we spoke to says that because of a spinal cord issue he suffers from limited mobility. However, since he is not completely incapacitated, and can move around on his own, he was looking for a mobility aid that would let him walk what he wanted to and rest when he needed to. This user is also an avid gardener and he says that this rollator allows him to go into his garden, do some weeding, and even load up fertilizer and gardening tools onto the rollator itself, which saves him a lot of legwork trekking to the storage shed. Another buyer that we spoke to has an aunt that suffers from chemotherapy-induced neuropathic pain in her feet. For most of her illness she has been using a traditional two-wheeled walker, but because she felt insecure using it she rarely ventured outside. Her niece fell in love with this Roscoe Medical transport roller, saying that its ability to transform from a walker into a transport chair allows her and her aunt to go shopping together and participate in family activities. Whenever she begins to tire out, she's able to take a seat in the walker and be pushed around. Another reviewer that we spoke to says that her husband had been using a cane for a very long time and they had frequently toyed with buying a power chair, but installation of different ramps and trailer hitches made it too difficult a proposition. They ended up turning to the Roscoe Medical chair, Which allows him to maneuver around on his own as well as be wheeled around once he tires out. This multi functionality makes this transport rollator a unique mobility aid. Some minor drawbacks concern steering, which users say takes a little bit of time to get used to. They say that upward slopes require some careful hand braking so you don't go skidding. As well, going up an uphill slope can be draining for some users. Other commentators that we spoke with say that the basket is a little bit too flimsy and falls off too easily. One user suggested to hang grocery bags from the handles instead of placing them in the storage basket itself. 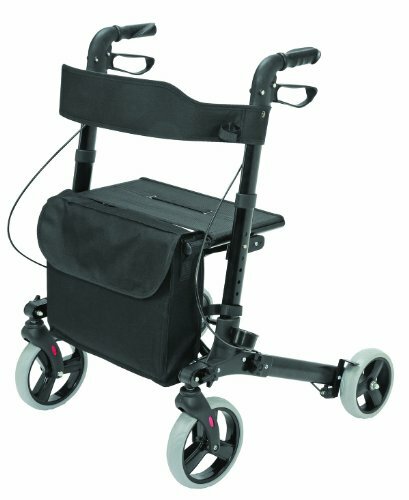 Overall, this is a unique mobility aid for users that want the combined functionality of a rollator and a transport chair. The 20 lb. ProBasics bariatric rollator has a 400 lb. weight capacity and features 8" locking wheels and a seat to floor height of 22". Users that we spoke with said that it was easy to assemble and the seat was spacious enough for overweight individuals to use comfortably. Other reviewers commend the ease of steering, the comfort of the back rest, and praise the collapsibility of this bariatric walker, which makes it easy to fold up for storage in a vehicle trunk or backseat. Another buyer who purchased this bariatric rollator, and had recently recovered from surgery, used it during their rehabilitation whenever they needed to take long walks or had to stand for extended periods of time. Overall, this heavy-duty bariatric roller provides durable and comfortable functionality for oversized users. What Sort of Person Could Use a Rollator Walker? What Are Customers Saying About These Rollators? The Drive Four Wheel Medical Rollator is a superb purchase option for those who are interested in purchasing a walker with wheels, however are operating on a shoestring budget . For its cost, this medical walker has many benefits and features which will likely be sufficient for the majority of the users’ mobility requirements. It’s got big wheels so that it is simple to control in both smooth and bumpy terrains, which happens to be excellent for individuals who really like enjoying the out-of-doors. The handles can be realigned up or down for height, and pressing down the braking mechanism quickly activates the wheel locking system, which means you don’t need to bend over in order to (de)activate it. This is a convenient option for the elderly and individuals with low back pain who find stooping difficult. The Drive Medical Four Wheel Rollator additionally includes a cushioned seat and back-rest, which may be genuinely helpful for individuals who want to take a seat and take a rest occasionally. The back-rest can be taken off, despite the fact that it’s unlikely that you will need to do so, it might be useful for individuals that find the back-rest unpleasant, for whatever reason. One negative is that the wire storage basket- other rollators have totally enclosed storage boxes (underneath the seat usually) or even bags (hanging from the back-rest). Because it is essentially made from wire, everybody is able to see anything that you put there like your prescription drugs or other personal material. Moreover, it does not have any cover, rendering it more ideal for ‘carrying’ rather than ‘storing’ your items. Altogether, this is a real value purchase . The HealthSmart Euro Style Rollator Walker provides a fresh look and design to the typical rollator styles . Apart from this though, there are a number of other benefits to this medical walker. For starters, it’s one of the lighter models- with a weight of only 17 lbs. The entire thing folds up to only 25 x 16.5 inches rendering it an easy task to fit in most car trunks. In spite of these characteristics, the HealthSmart Euro Style Rollator Walker is tough and can deal with people who weigh up to 300 lbs. This, along with the streamlined structure, makes it simple to carry around and bring where ever you require it. Featuring a new, fresh approach to design and its outstanding features, this really is one rollator which will satisfy many different needs. One small issue we observed with the HealthSmart Euro Style Rollator is with relation to its storage functionality. Many rollators include a storage box or a wire basket underneath the seat, in contrast this rollator includes a tote bag with a shoulder strap. This smaller storage area may restrict the number and the size of the things that you will have the ability to take along with you when utilizing this rollator out of the house. Nevertheless, the bag is big enough to include your medicines, magazines and books and small food items – and also, since it’s readily removable, it is handy if you plan just to walk around with your things. Should you decide to transport a lot of things, you might find other rollators to be much more suitable for your requirements. The Comodita Prima Heavy Duty Walker is a great choice for users searching for extra weight support – it securely can handle up to 400 lbs . The Comodita is all about sturdiness and security. With a strengthened structure and extra-large, rubber wheels it is really a particularly durable device. The Comodita’s joints are especially welded to supply the sturdier design heavier consumers will likely need to feel steady and safe. The rear wheels also are spread further apart than the front wheels to more effectively distribute weight. Overall, this sturdy and stylish walker is a impressive choice, particularly for people who need extra support. If you’re looking for a rollator for a heavier user, the Comodita Prima Heavy Duty Walker could be the most suitable choice. All of these extra features are not inexpensive however, and this rolling walker includes a hefty price tag, costing twice as much as other rollators on the market. When advanced age, or a incapacitating medical problem, causes you or a family member to be affected by stability issues and compromised mobility which could affect their mobility and compromise their safety – the Hugo Portable Rollator is definitely there to help . Designed with exceptional workmanship and high quality materials, this Hugo brand medical rollator enables people with reduced mobility to once again enjoy an afternoon stroll without concern for a disastrous. The Hugo Portable Rollator includes a seat and a backrest which make it a great walker for the aged and those with poor stamina and respiration – people that need to take occasional breaks during ambulation. Moreover, the extra-large wheels supply much more security and maneuverability. The Hugo Portable Rollator has four 8-inch wheels that happen to be larger than other comparable rollators. It’s key to remember that 4 wheels provide much better security when compared with 3-wheeled rollators, and even though 3-wheeled rollators are a bit more agile, especially in tighter environments, the larger wheel size helps to make the Hugo Portable Rollator makes for a truly stable experience. Additionally, bigger wheels tend to be more easy to control in a greater variety of settings – from paved roads to grass. In all, this is another fantastic option. 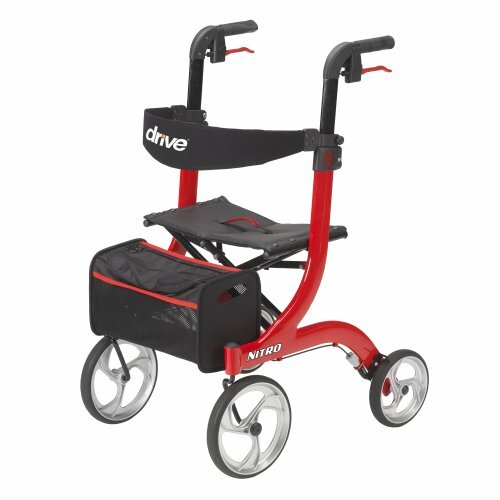 The Drive Medical Nitro Euro Style Rollator is strongly suggested by our product team. It is a rollator that brings together style, comfort and convenience. 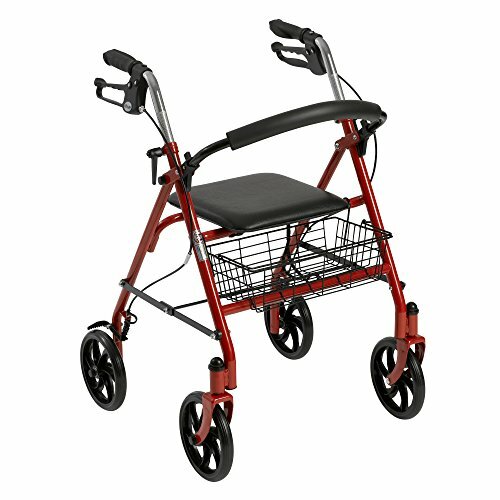 It has an especially sporty design which surpasses the typical, and somewhat boring, styles of your standard rollator walker . More to the point, though, are some additional features that makes this rollator worth taking into consideration. These include a caster fork structure, 10″wheels for maneuverability, and a light-weight, compact design which makes for easy storage at the back or trunk of your automobile. 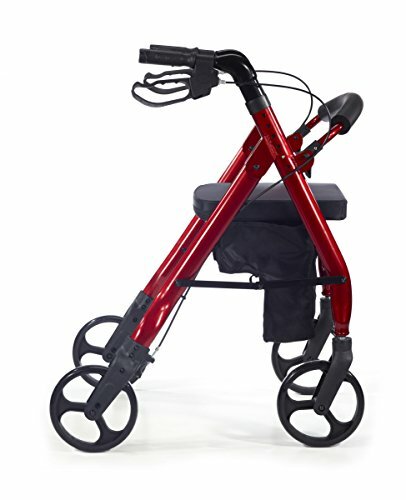 This is certainly a rollator you should think about for prolonged use due to its full-features and engaging styling. One important thing that lots of consumers really enjoy about this rollator is how hassle-free it is to use. To begin with, the Drive Medical Nitro Euro Style Rollator is made from light-weight aluminum, so when you add this to its compact design, this rollator has one of the lightest and simplest to move frames. This will make it an ideal option for users who need to travel a great deal – say from your own home to medical centers for therapy and back. Furthermore, this medical walker is simple to put together and collapse, necessitating just the use of one hand, and includes a clamp to help keep it collapsed throughout transport. Comfort is another powerful feature of this rollator. The mesh seat isn’t cushioned like the high-end rollators, but it’s produced from quality material which makes it much more cozy than equally full-featured rollators on the entry level of the price range. Along with the backrest, it provides its users the resources for a comforting rest during a roll-about. This is one of our favorite rollators that we have had the opportunity to review – definitely a great purchase. Oftentimes seniors, the disabled or people that are experiencing temporarily incapacitating medical problems, have a need for a ambulatory aid. Rollators present a more modern alternative than a cane or a traditional walker. If you or a loved one wish to remain active, a rollator can certainly be the answer to that problem. There are even different types of four wheeled walkers- bariatric, pediatric, and rollators that are made for people that are specially tall and people better especially short. For individuals who have a strong preference for remaining active, particularly if they want to be able to explore the outdoors, go on vacations, and be able to easily transport themselves to their doctors appointments. They have particular difficulty lifting a traditional walker. 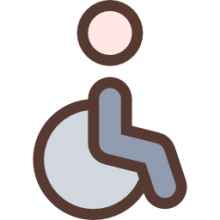 They need to sit and take occasional rests while moving around- this is where a walker with wheels really shines, because they typically include cushioned seats with backrests and strong locking mechanisms to keep the rollator stable while the individual is seated. Many users observed that the trade-off for selecting a rollator that was made from lightweight aluminum meant that it did not feel as secure or as stable as one that was made from more substantial and solid materials. Four wheel rollators are never in danger of tipping. Some of the walkers were easier to transport than others, even though most are collapsible. Consumers found assembly instructions across the range of different rollators easy to interpret. They did not, on average, experience any significant challenge in terms of their assembly. Some people choose to purchase two different rollators: one that is very lightweight and is sometimes stored in a car for easy on-the-go maneuvering, and another that is used around the house that is more stable.